Affiliate Pro is a Powerful and yet simple to use PHP affiliate Management System for your new or existing website. Let affiliates sell your products, bring you traffic or even leads and reward them with a commission. More importantly, use Affiliate Pro to track it intelligently to keep your affiliates happy and also your bottom line! 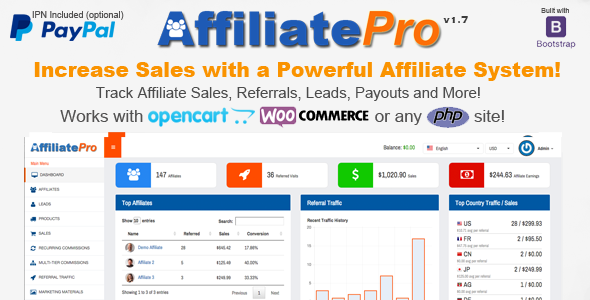 0 Response to "Affiliate Pro v 1.7 - Affiliate Management System - CodeCanyon"